Jack Butler is returning with more DNA goodness for our June member meeting. Members are encouraged to bring their DNA questions. The June meeting is scheduled for June 17, 2017 at the Southeast Branch Library located at 6670 US 1 South, St. Augustine, FL 32086. Check-in begins at 12:45pm and the meeting starts at 1:oopm. Society meetings are free and open to the public. Unfortunately, Judy Wright is unable to come for our March 18th meeting. Denise Olson has agreed to swap places with Judy and present Evernote – A Revolution in Research this month and Judy will speak in September. 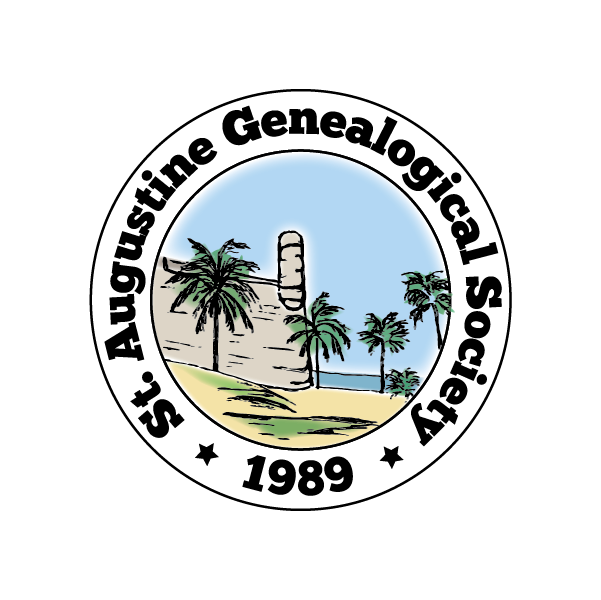 St. Augustine Genealogical Society meetings are open to the public. Meetings take place at the Southeast Branch Library one the third Saturday of every month beginning at 1:00pm.